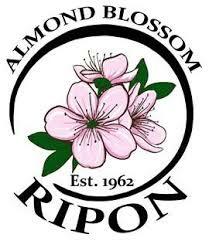 This event is a kick-off to our 57th Almond Blossom Festival and 37th Annual Almond Blossom Fun Run. Come out and join us on the 1-mile or 8K course, starting at Mavis Stouffer Park. You can choose the 1-mile loop or the 8K and enjoy the beautiful Almond blossoms as you run by the orchards on country paved roads. 1-Mile – Ages 10 & Under $15., Ages 11 & over $30. 8K – Ages 10 & Under $15., Ages 11 & over $30. Both 1-Mile & 8K, Ages 10 & Under $25., Ages 11 & Over $40. All fees increase by $5.00 race day. Are only available if you register before Monday, February 4, 2019. This is the only way to receive a shirt. Packets are not sent out in advance, please pick up race morning. Please allow yourself plenty of time to check-in and prepare yourself for your event start time. Water will be served midway through the 8K run. Refreshments and light snacks will be served at the start/finish line. 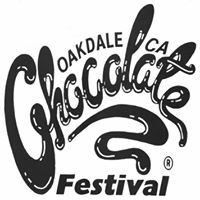 1-Mile – Overall male/female will be awarded $25 cash. Medals three deep in the following age groups, 8 & Under, 9-13, 14-15, 16-19, 20-29, 30-39, 40-49, 50-59, 60-69 70-79 and 80 & over. 8K – Overall male/female will be awarded $50 cash. Medals three deep in the following age groups, 12 & Under, 13-19, 20-29, 30-39, 40-49, 50-59, 60-69, 70-79 and 80 & Over.